What would “Christian America” look like? No one really knows, but plenty of Republicans want to make it official. At least according to a new poll from the Public Policy Polling firm, significant majorities of likely GOP primary voters—57%–want to make Christianity the official religion of the USA. This brings us to a tough question: Do today’s religious conservatives intend to make a break with conservative tradition? Or are they just unaware of their own history? The PPP poll gives some intriguing breakdowns. For those GOP voters who prefer Governor Mike Huckabee, a whopping 94% support the notion. Even those who support the more secular Rand Paul like the idea, by a margin of almost two to one. Younger GOP voters are MORE likely to back the proposal. Among 18-45-year-olds, 63% say they support the idea. Only 51% of those over 65 do. There are other intriguing aspects to this poll. For example, among supporters of Huckabee and of Paul, we see a neat flip-flop when it comes to evolution. Only a tiny margin (7%) of Huckabee backers say they “believe” in evolution, while a whopping 85% of Paul supporters do. Clearly, there’s a lot of daylight between the notions of “conservatism” and “creationism” these days. But that’s not nearly as compelling, IMHO, as this weird question of establishing Christianity as the national religion. What would that mean? Would public schools nationwide all look a lot more like the ones in Greenwood, Indiana? Would other religions have to pay some sort of tax? Perhaps most interesting from an historical perspective, do these likely GOP voters know that conservative Protestants—especially Baptists—have always been the leaders in making sure that the government was kept entirely separate from religion? My hunch is that most of these respondents think of “Christian America” as a conservative concept, something along the lines of David Barton’s Wallbuilders and Representative Fisher’s Black Robe Regiment. In short, this strain of conservative thought emphasizes that the United States was founded by Christians, for Christians. The Founding Fathers, that is, were guided explicitly by Christian ideas and they never intended for any sort of wall of separation to be built. Judges should be free to have the Ten Commandments prominently displayed in their courtrooms. Town meetings and football games should be free to start with a prayer. Currency should continue to Trust in God. And so on. Was America founded as a Christian nation? Should we make it official? As I argue in my new book, this kind of Christian patriotism has had a long and strong pull on the conservative imagination. In the 1930s, for example, big-business groups such as the National Association of Manufacturers trumpeted the connection between religiosity, democracy, and free enterprise. In that decision, of course, SCOTUS ruled that state governments could not impose a prayer on public schools. For some conservatives, that meant that the Court had kicked God out of the public square. For religious conservatives, it meant that religious belief and practice could never be dictated by a government body. Which brings us back to this curious recent poll. Among the front runners for the GOP nomination, Governor Huckabee leads, along with Dr. Ben Carson, as the most religious of the conservatives. 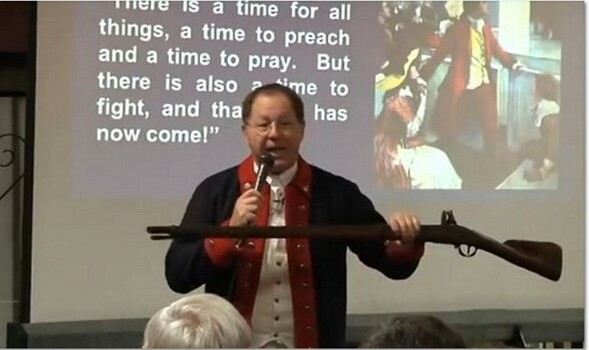 One might think that Huckabee’s supporters would be horrified at the idea of establishing a national religion. ANY national religion. But that is clearly not the case. As the demographics suggest, younger conservatives seem more comfortable with the idea of establishing Christianity as the national religion. Maybe they know something we don’t. My guess, though, is that these young conservatives have a new understanding of “Christian America.” Unlike their grandparents and great-grandparents, conservative Baptists today do not seem convinced that their first job is to keep the government at arm’s distance. 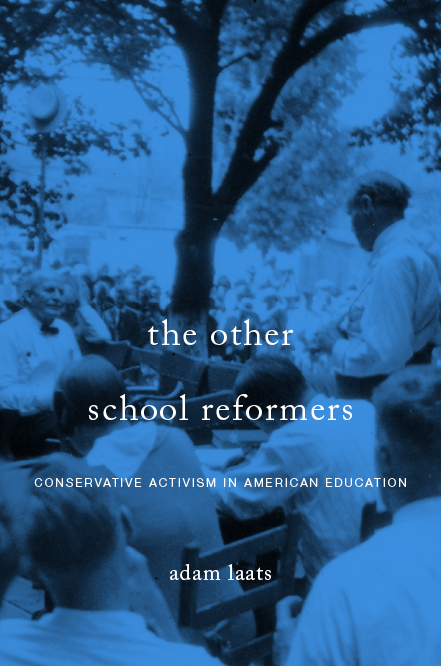 What Does It Mean to Be Conservative about Education? There should really be a name for the phenomenon where struggling fighters can all get along right up until they win and actually get to start making decisions, at which point in-fighting occurs and you have to wheel out the guillotines and the firing squads. My guess is that “Christianity” is vague enough that they all assume that of course they’d get what they want, without actually considering what would happen once one sect becomes the official government-enforced religion, and everyone else has to convert. Considering how Catholic the Supreme Court is, all those Protestants should probably reconsider their opinions on the matter, or they might decide that the only constitutional religion involves following the Pope. Thanks, David, I have to check them both out in more depth. Just got a copy of Bloom’s book. Can’t believe I haven’t read it yet. Embarrassing. More proof that I need to read outside of my academic specialty area more often. If you read Bloom’s literary studies on Emerson et al., it will really round out the picture for you. You should also check out Sacvan Bercovitch if you haven’t read <> and <>. On the “gnostic” flavors in American/Puritan/Calvinist theopolitics, Hans Jonas and Eric Voegelin dug into this in the 1950s. Notably I think all four of these men read Hebrew, all except Voegelin are/were Jewish, and the two Germans (Jonas and Voegelin) saw what was coming with Hitler and left to take up the fight against him in different ways.